Carnitine is an amino acid that is essential for babies and nonessential for others. In this context, essential means it must be obtained in the diet. Nonessential types of amino acids can be synthesized to some extent within the body. The kidney is able to form carnitine from the amino acids lysine and methionine, in addition to iron and vitamins B6, niacin, and C. The function of carnitine is to mobilize long-chain fatty acids into the powerhouse of the cell, where they are used for energy. Carnitine is necessary for infants to grow and develop normally. 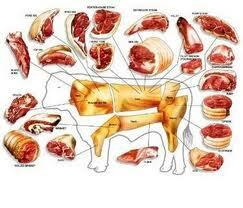 The supply of carnitine depends upon the ingestion of some essential amino acids, particularly, lysine and methionine. An adequate amount of vitamin C is also necessary. 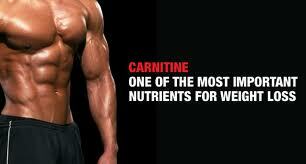 Men seem to have a greater need for carnitine than women. 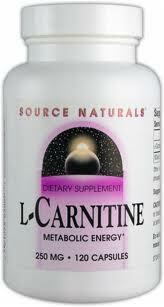 Carnitine plays an important function in the metabolism of fat and the reduction of triglycerides in the body. One to three grams of carnitine should be administered daily for the required oxidation of triglycerides, especially when there is poor hand and foot co-ordination, myocardial infarction, and kidney disease. Carnitine is also a useful supplement in cases of muscular dystrophy and cardiac ischemia. Your heart contains more carnitine than any other part of your body. It's there to help the mitochondria (the tiny power plants) in your heart cells produce energy. How? It helps by carrying fatty acids into the mitochondria, where they're converted to energy. Some researchers believe that taking supplemental carnitine may help people with heart problems by making their hearts work more efficiently. Extra carnitine can sometimes be very helpful for people with angina or heart failure. If you have a heart condition, discuss carnitine with your doctor before you try it. A condition known as chronic fatigue syndrome (CFS) causes a number of potentially debilitating symptoms, including severe fatigue, muscle pain, and depression. Carnitine may prove helpful in alleviating the symptoms of CFS, perhaps by increasing the efficiency of energy production. One small study used a dose of 0.1 oz (3 g) of L-carnitine per day. Undocumented claims for the health benefits of carnitine include treatment of Down’s syndrome, muscular dystrophy, some forms of male infertility, chronic obstructive pulmonary disease (COPD), and alcoholic fatty liver disease. Carnitine has also been said to reduce the toxicity of AZT, a medication for AIDS. Women who are pregnant or may become pregnant should not take carnitine supplements. Breastfeeding mothers should also avoid them, since they may not be safe for infants in this situation. Babies requiring a supplement due to low birth weight or pre-term conditions should have it prescribed and monitored by a healthcare provider. Those with food allergies to proteins are at risk of adverse reactions to carnitine. People who have chronic liver disease are at risk of having high carnitine levels due to their illness and should not take carnitine supplements. L-carnitine taken by mouth has been known to cause gastrointestinal symptoms, including nausea, vomiting, cramps, and diarrhea. DL-carnitine is sometimes associated with a syndrome of severe weakness and wasting of muscle, particularly in patients with kidney disease who have been on long-term hemodialysis. Valproic acid, a drug sometimes used to treat seizures, is more likely to cause toxicity if the patient under treatment has a carnitine deficiency. The drug may cause decreased carnitine levels. A healthcare provider should be consulted regarding the advisability of taking supplemental carnitine under those circumstances. Supplements of carnitine may increase the effects of the anticoagulant medication warfarin.